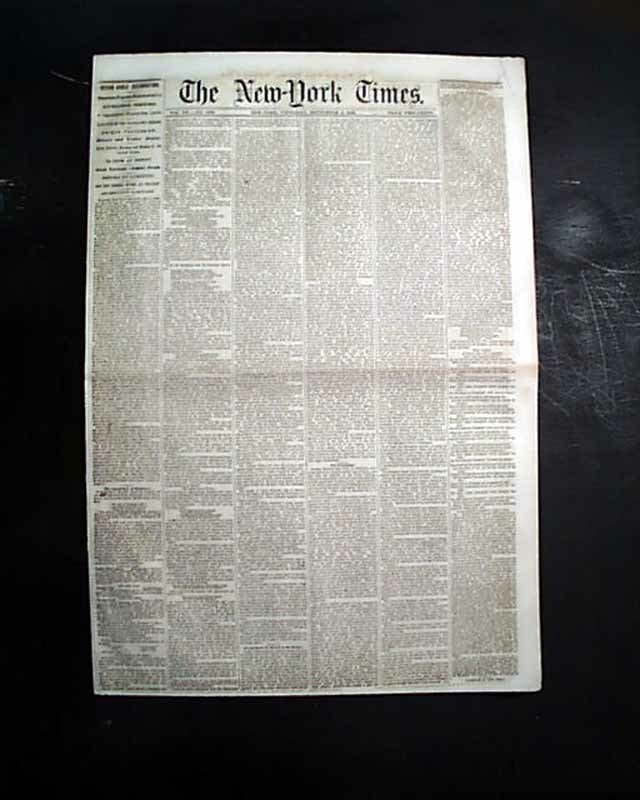 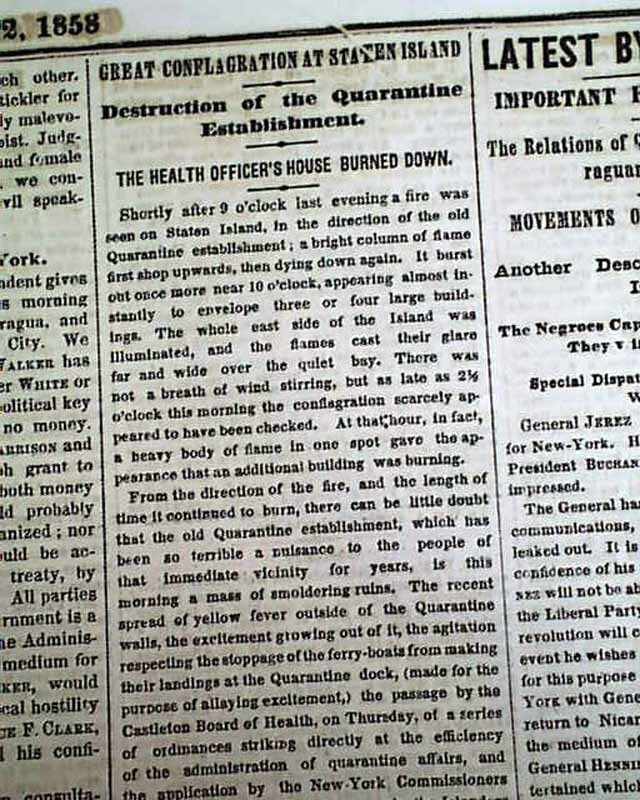 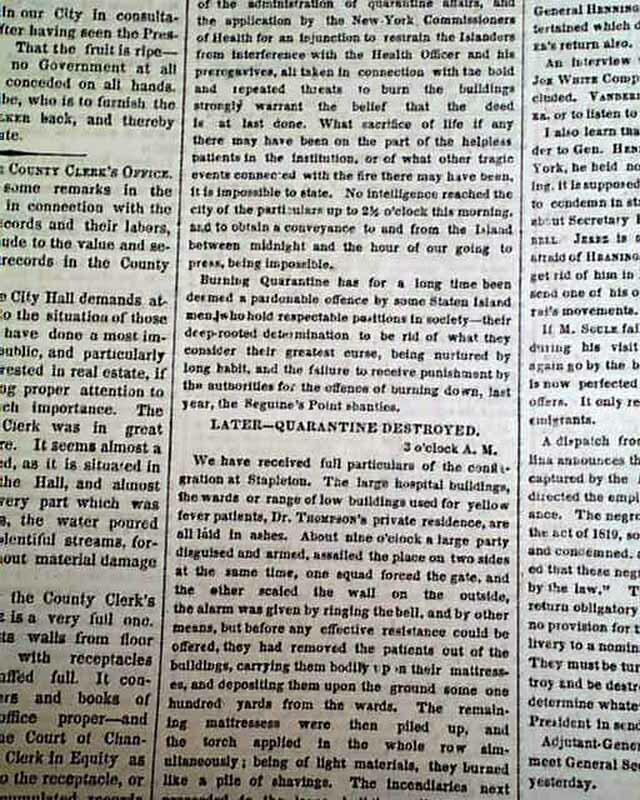 NEW YORK TIMES, Sept. 2, 1858 Page 4 has a column headed: "Great Conflagration at Staten Island" "Destruction of the Quarantine Establishment" with much detail on the burning of the Quarantine Hospital, the city's first line of defense against migrant-borne infectious diseases. 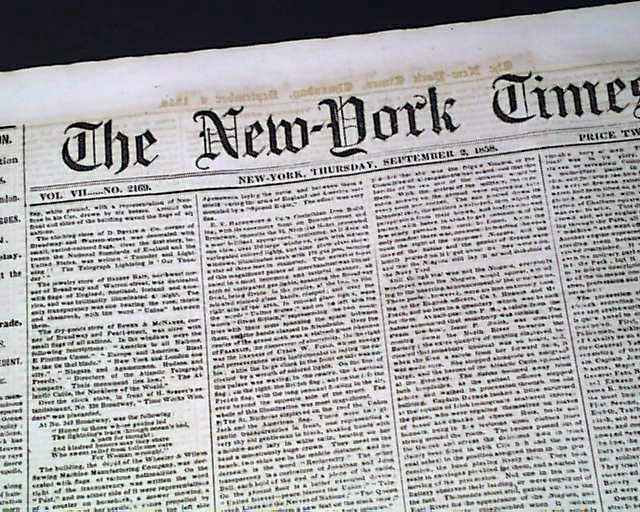 Also: "News From Utah" and "From St. 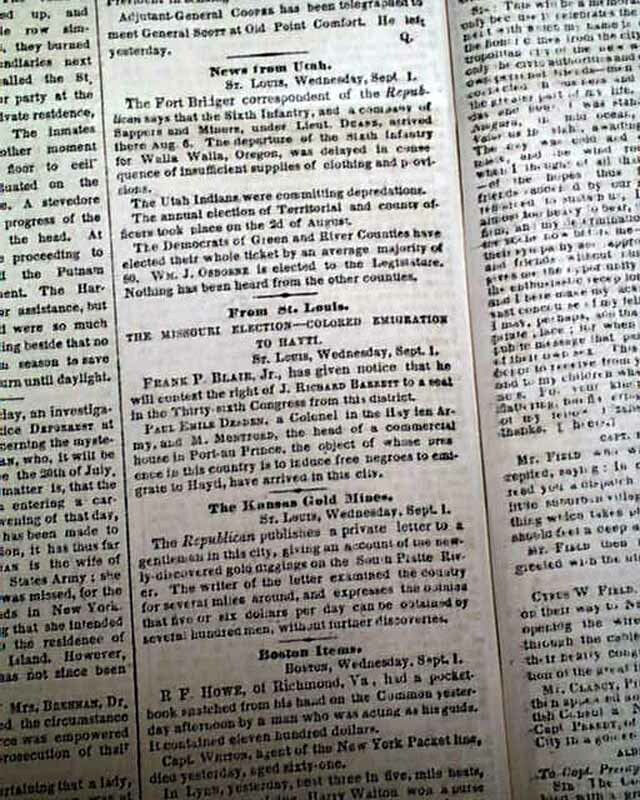 Louis...Colored Emigration to Hayti" and "The Kansas Gold Mines".